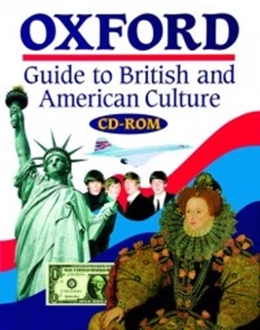 *Oxford Guide to British and American Culture - It explains how British and American people live, the sports they play, the products they buy, and past events that have shaped their lives. *It makes sense of the culture behind news stories, novels and magazine articles. *Over 10,000 encyclopedic entries on British and American history, literature and the arts, legends and customs places, institutions, sport, entertainment, and everyday life. *Over 250 longer articles on topics such as education, fashion, Hollywood, humour, industry, politics, religion, and Shakespeare.